We didn’t have enough players so we will reschedule for another time. [Update] We’ve only had one person sign up so far and we’re scheduled for tomorrow night. Maybe the sign up sheet wasn’t a great idea after all. We will still continue to go with the scheduled time of 9pm ET. Feel free to throw your name into the comments for the sign up sheet still. You’ll get priority in the game schedule. Hey guys! 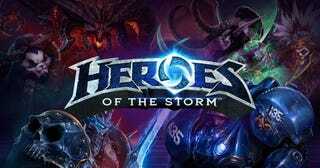 We are planning to do another Heroes of the Storm game night, Friday September 11th. Last time we got such a good reception that we’ve decided to try a sign-up sheet style night this time. So go ahead and put in the comments what round you want to join in. I think we should limit it to 2 games in a row for the most part. However, exceptions will be made if we don’t have enough people or someone didn’t show up for the round they signed up for. We will do custom games to get 10 people per team going plus 2 observers. I will set the games around a half hour each, though we may run into overtime and adjust as needed. Check out Smi1ey’s character guide!